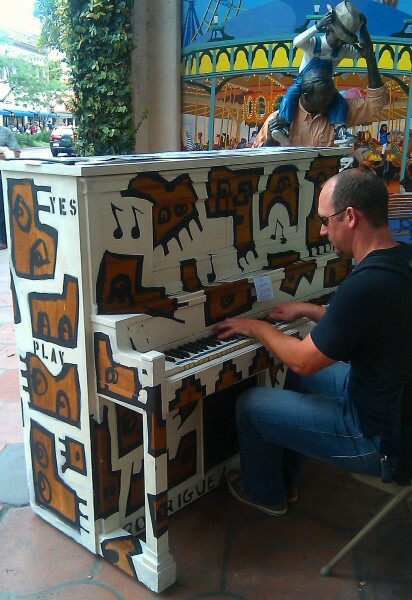 We loved the recent Pianos on State initiative that took place last week. We applaud this effort and encourage you to support this initiative. 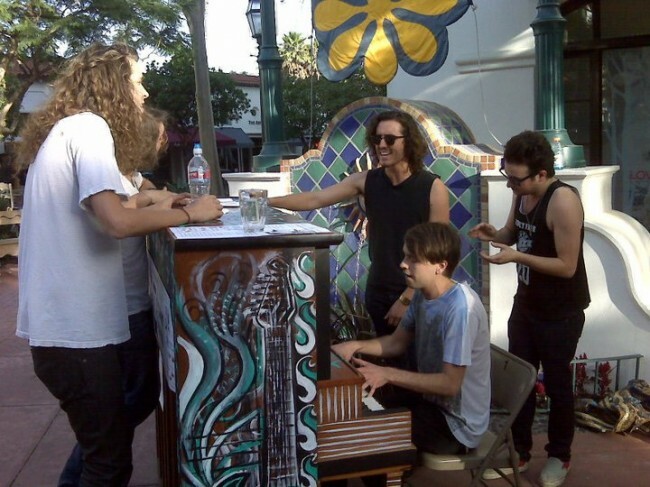 We got to observe the pianos first hand and hear pros, amateurs and family members plinking and playing the pianos up, up and down State Street. 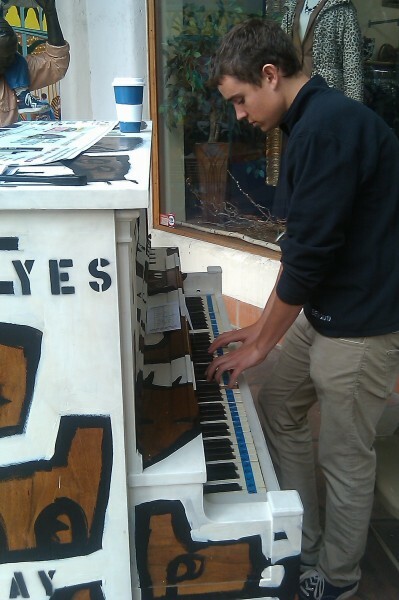 One of the highlights of Pianos on State occurred when the band “Honey Child” lit it up as can be viewed below. We look forward to catching them live soon. You can check out and download their latest album “Nearer the Earth” here. Between the video below of Pianos on State, a quick listen to their beguiling record and reviews of their shows, this looks like a band to keep a close eye on. We wish them well. Also included below is the band’s live guitar-barrage version of the same song, Away from Home. Don’t rule out more piano/acappella/handclap breakouts, boys.